Three secretaries were prosecuted for the unclear 4 billion yen money but not their boss,OZAWA. What a mess! | Hey, you know what? ホーム > スポンサー広告 > Three secretaries were prosecuted for the unclear 4 billion yen money but not their boss,OZAWA. What a mess! ホーム > Ozawa > Three secretaries were prosecuted for the unclear 4 billion yen money but not their boss,OZAWA. What a mess! Three secretaries were prosecuted for the unclear 4 billion yen money but not their boss,OZAWA. What a mess! The chart explains the problem of unclear political money movements. It is very unusual that an individual politician purchase real-estate with huge amount of money related to his or her political job. But Ozawa’s case is very unclear where such huge money came from and its money transactions seems to be bribery from construction companies that he has a strong power to influence over government construction contracts. 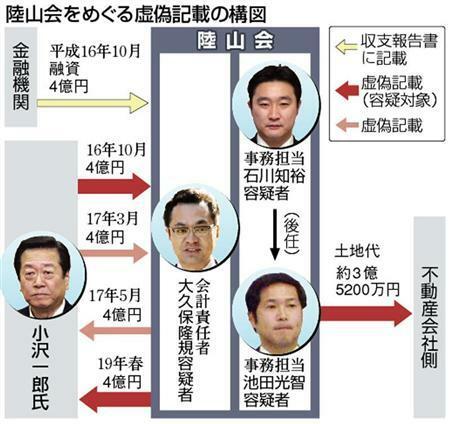 The chart in the middle shows OZAWA’S political money management office, “RIKUZANKAI” and the three gentlemen are his former secretaries, Mr. Ishikawa, Mr.Kubota and Mr. Ikeda. 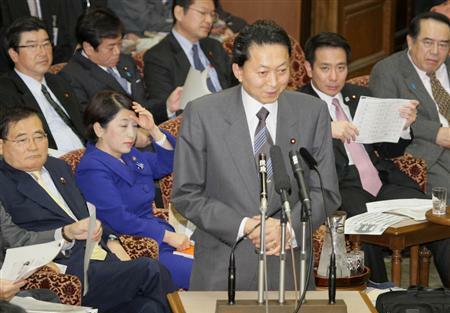 Mr. Ishikawa should be noted that he now an assembly member of DPJ. Anyway these gentlemen were arrested and put into the custody for questioning for the unclear accounting record keeping. The money transactions are indicated by arrows. On October, 1996, 4 billion yen was passed to “RIKUZANKAI” with cash to buy real-estate. But On the same month and the year, “Rikuzankai” made a financing contract of 4 million yen which is exactly the same accounting money. Mr. OZAWA claims that the money he put into “RKUZANKAI” is:--he inherited from his father long time ago and had kept it at his house. And even at this point, there are two guest ions: If he had enough money which is 4 billion yen, why did he have to borrow the same amount of money with interest. It doesn’t make any logical reasoning’s. Besides that, the money from the bank was recorded in bookkeeping but the fact that 4 billon yen was returned to Mr. OZAWA was not kept in the accounting system. Furthermore, the real-estate purchased cost 3.52 billion less than 4 billon. Then another question occurs. What happened to the rest of the money, about 5000 million yen? 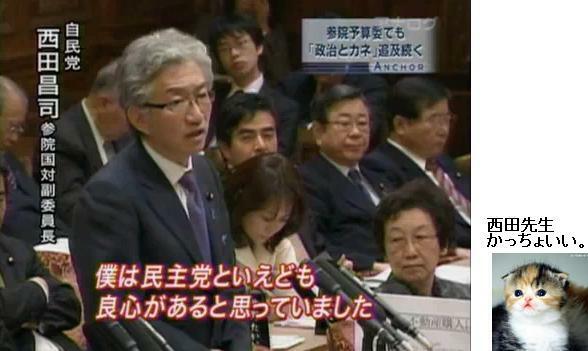 Mr. Syouji Nishida, a CPA, an assembly member of the LDP questions very sharply Prime Minister Yukio Hatoyama regarding Mr. Ozawa’s doubtful political money. 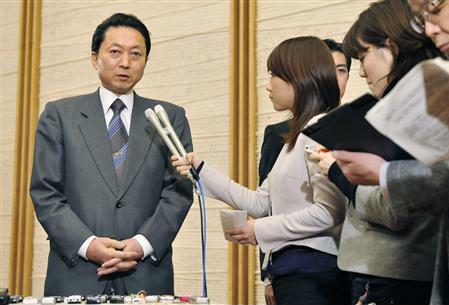 But Mr. Hatoyama has a similar tax evasion case of 12.6 billion yen that came from his mother. And it is not explained enough publicly. Therefore, unfortunately he never gives a clear answers as well. What a shame! Mr. Nishida says he thought that DPJ has a common sense and is disappointed. I feel the same! He still says Mr. Ozawa is innocent; I really want to “Trust Him”. You have a smile on your face. But sooner or later, you would have to realize your shakey position and come across a reality that your mother can’t help! Lots of people in Japan are very angry at the present govenrnment. You don't need the knowlege of the Japanese languuage to understand how angry they are!